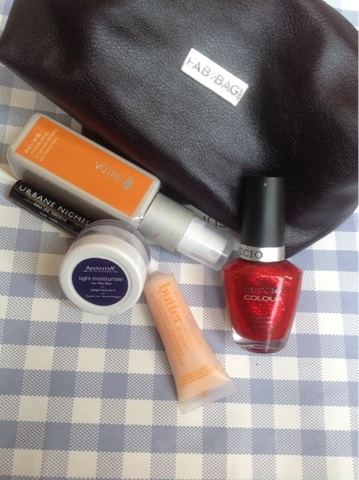 Its time to review the June 2015 FabBag for all of you .I received it a little late this time so I haven't really tried the contents long enough to give you a review or feedback but I shall share the contents nevertheless . 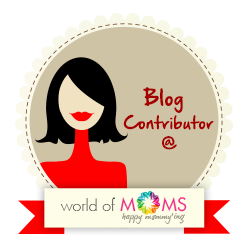 The theme for this month's fabbag was " Take Charge " and so the pouch this month was a dark purplish bordering on black , roomy pouch which screamed "Power " to me . 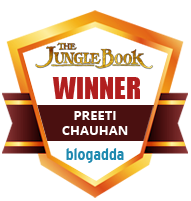 So full marks for the pouch and its colour . 1. 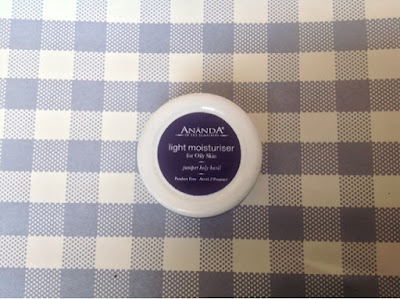 Ananda in the Himalayas light moisturizer for Oily skin ( Rs 1350/- for 50 gms ) - I received a sample size and I have already heard praises for this particular brand so I would love to try this out . 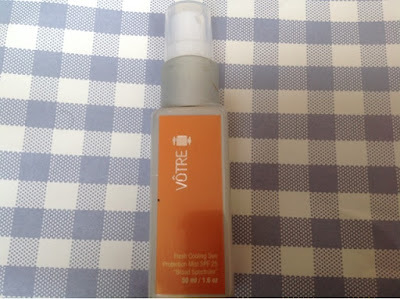 It contains Juniper and holy basil and is parabens free .I have oily skin and so this should be perfect for me . 2. Votre Fresh Cooling Sun Protection Mist with SPF 25( Rs 400 for 50 ml ) - I got the 50 ml full size bottle and it looks very travel friendly . I shall be trying a mist for the first time. 3. 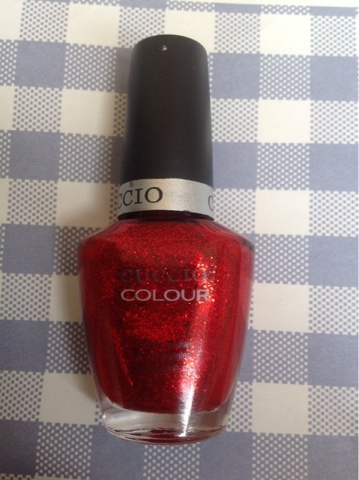 Cuccio Nail paint (Rs 675/- for 13 ml ) - Here again I received the full size product .In keeping with the theme , this is a power packed shimmery bold red colour and one swipe gives good colour .Though I do not prefer so much glitter . 4. 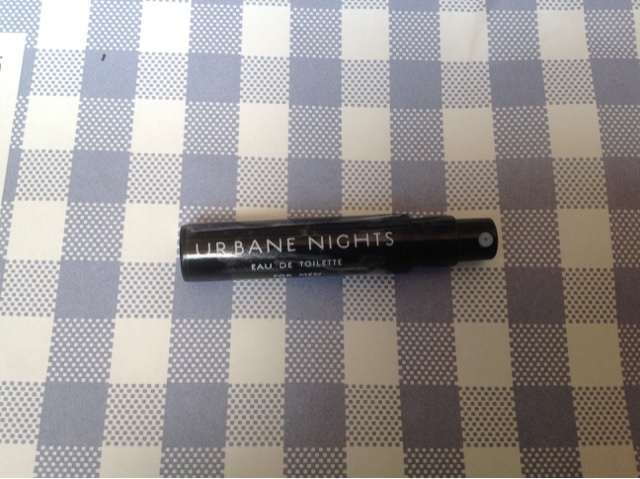 Urbane Nights Eau de Toilette ( Rs 750 for 100 ml ) - I received a sample size .This is actually a Father's day bonus and this EDT is for men .I gifted it to my hubby dearest .It is an average perfume . 5. 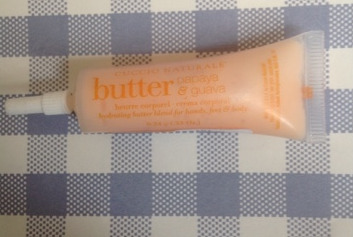 Cuccio Naturale Papaya and Guava Nectar butter blend (Rs 2970 for 100 gm) -I received a sample that may last two uses .This is a hydrating treatment for hands and feet to be used after exfoliating the skin and helps in keeping them moist and soft . Final Verdict - As I said , I have not tried most of the products yet so I cannot comment on the efficacy and quality .Was I happy with the value I got for my money ? I was happy to receive the Ananda moisturizer and would love to try the Cuccio butter blend .The other products did not excite me much .The pouch was better too . You have got pretty nail color.